... So the jury's still out on how my mental state will hold up. 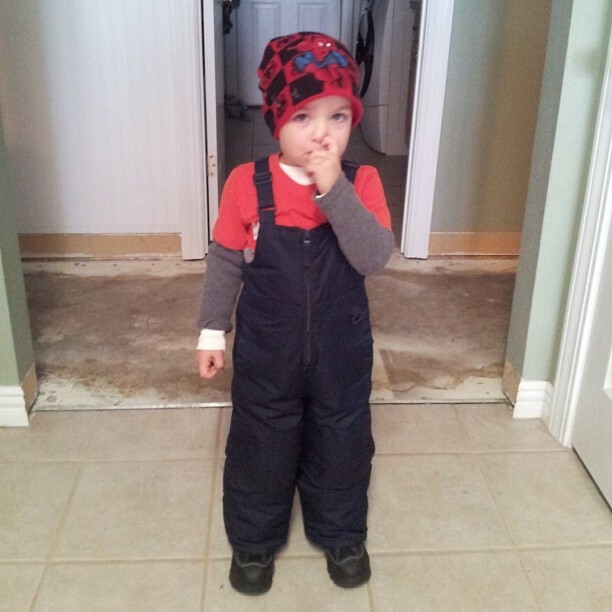 The beauty of the snow this year is that (a) we actually have snow and (b) that my boys have appropriate attire. I got really luck in finding really nice used snow gear for my boys this year. 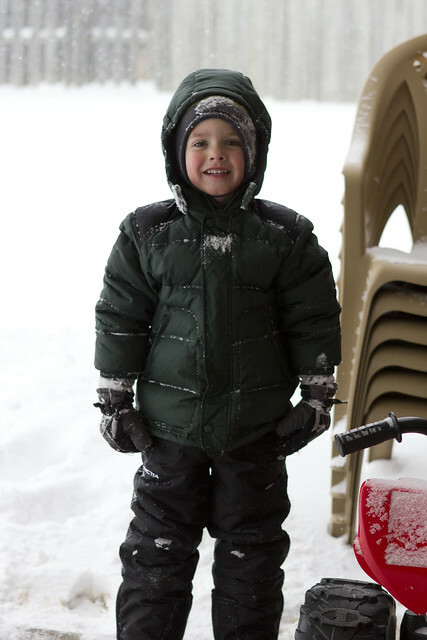 I think total for both pairs of snow bibs/pants and snow boots I spent less than $20 between both boys. It has kept them so warm, and I am so grateful because they go out and play as if it is no big deal that it's 20 degrees (and stay nice and dry and warm!). 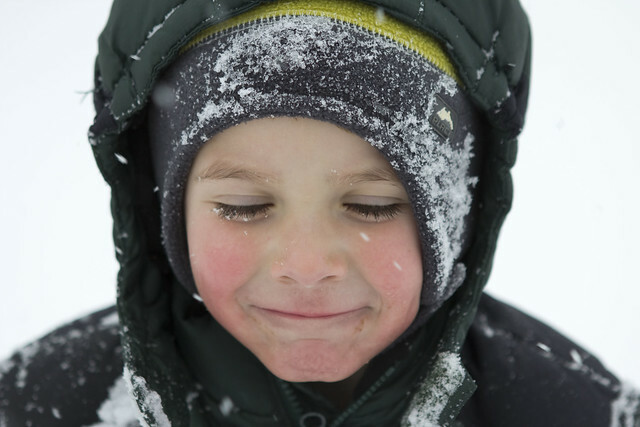 When Connor got all bundled up to go and play, I about melted. He looks so cute in a snow bib! Parenting is so, so tough, but it's also one of the most amazing things I think I'll ever experience in my lifetime on earth. One of those reasons is being able to experience things through their eyes. 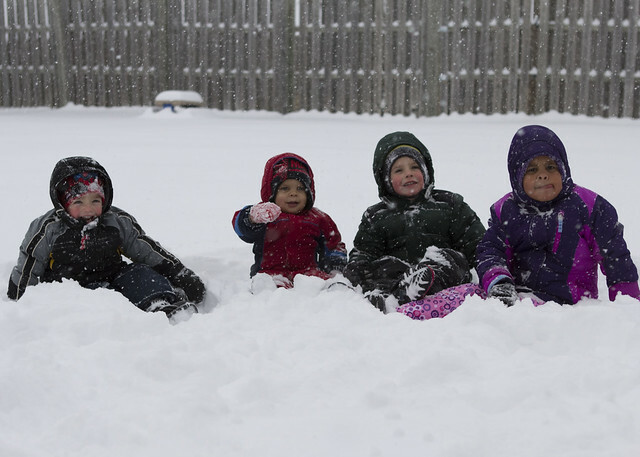 For some reason, snow is magical to kids, and mine are no exception. 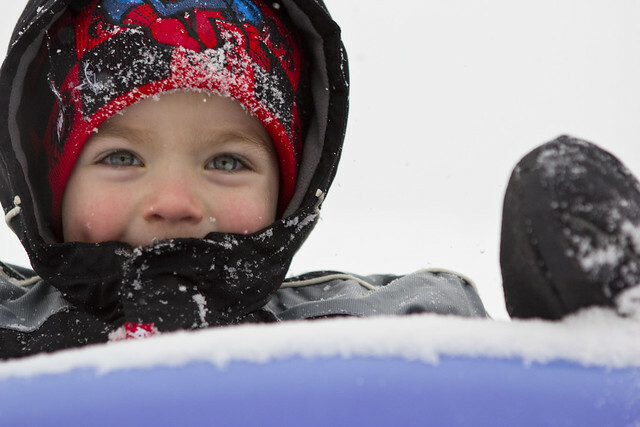 I could have listened to their giggles all day long as Brayden and Connor ran out in the snow. Sheer joy in the purest form. 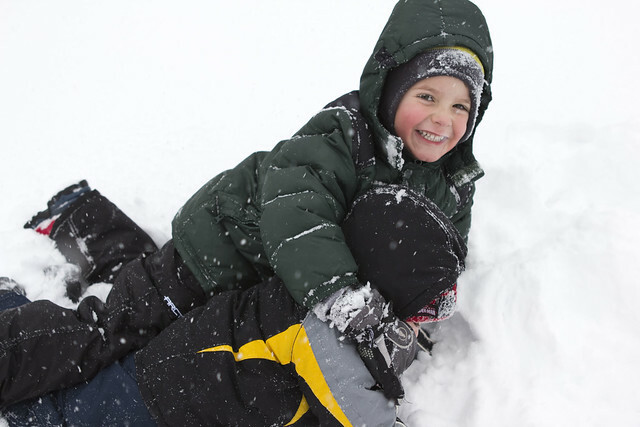 brother wrestling matches in the snow... doesn't get much better! Connor had a minor meltdown about having to wear my mittens, but after we convinced him it was the best option considering it was less than 20 degrees outside, he had a really good time. We are blessed to have great neighbors who have kids around the same age as our boys. So they came up to play with us for a little bit. 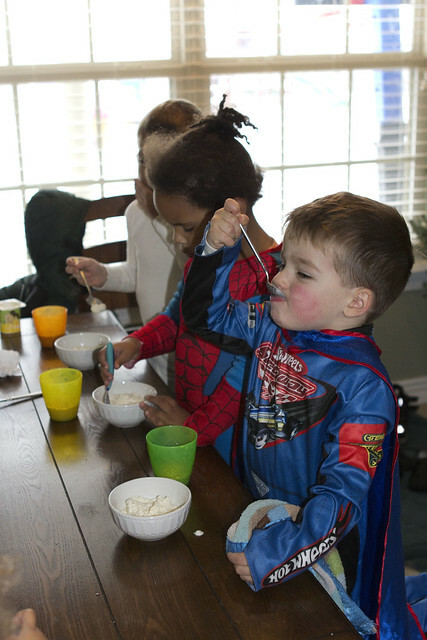 After the kids were worn out and cold, they came inside for hot cocoa and snow ice cream (Connor's favorite treat that he'd been asking for since I had told them earlier in the week that we'd be getting snow on Friday). (and yes, Connor is dressed like a super hero race car driver. Because, why not?). 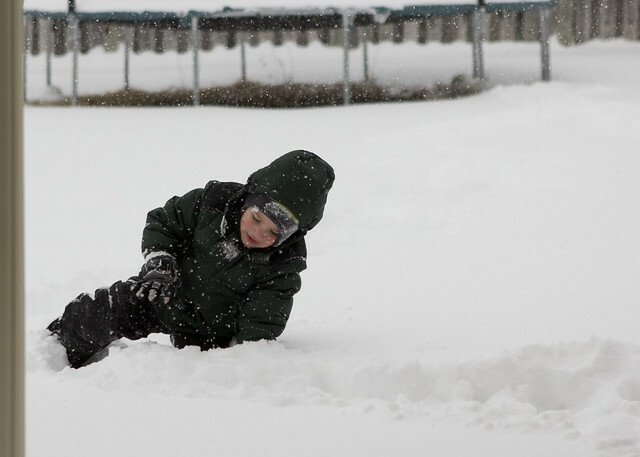 Because it's so cold, the boys have gotten two good days of playing in the snow into their schedule. I am figuring it will be around until Tuesday at the earliest, as our temps are not getting out of the 20s until midweek this week. 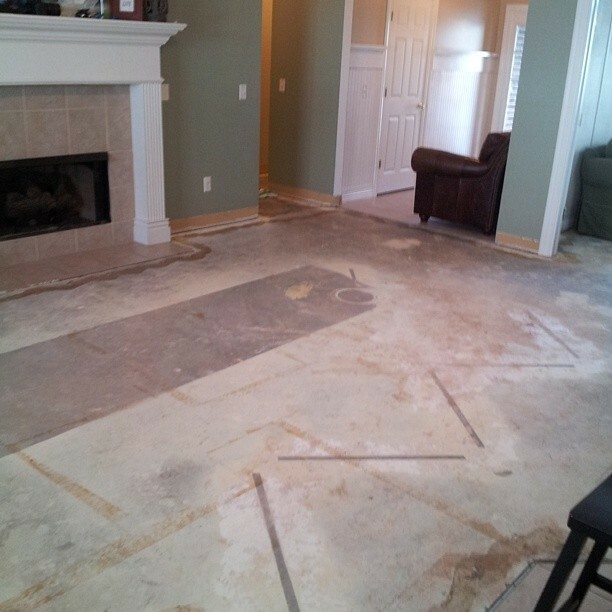 Pray for our sanity-- trying to finish flooring at the same time you are stuck in a house with 3 kiddos is no easy feat.